Everything about this shoot was flawless. 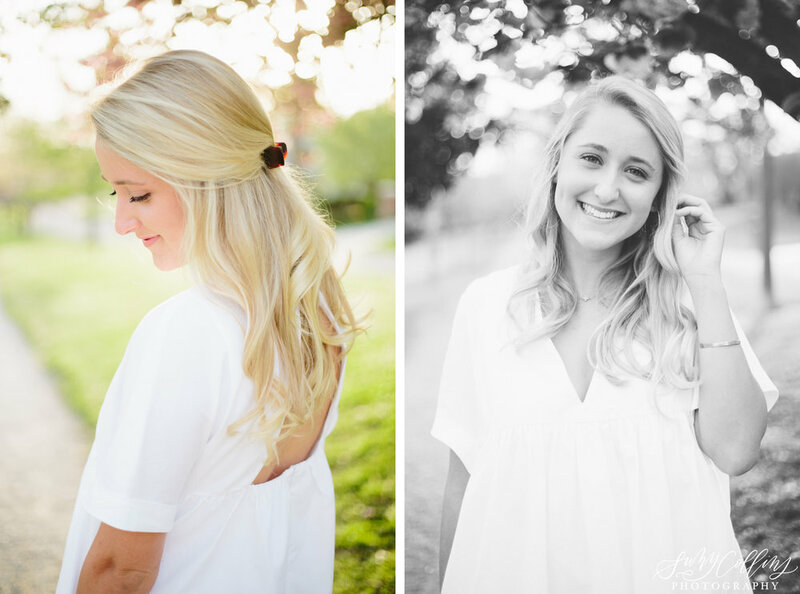 Jenna looked stunning in her white dress and the blossoms were in full bloom all around us. Pair that with a warm breeze and a beautiful sunset - ugh, it was so dreamy! 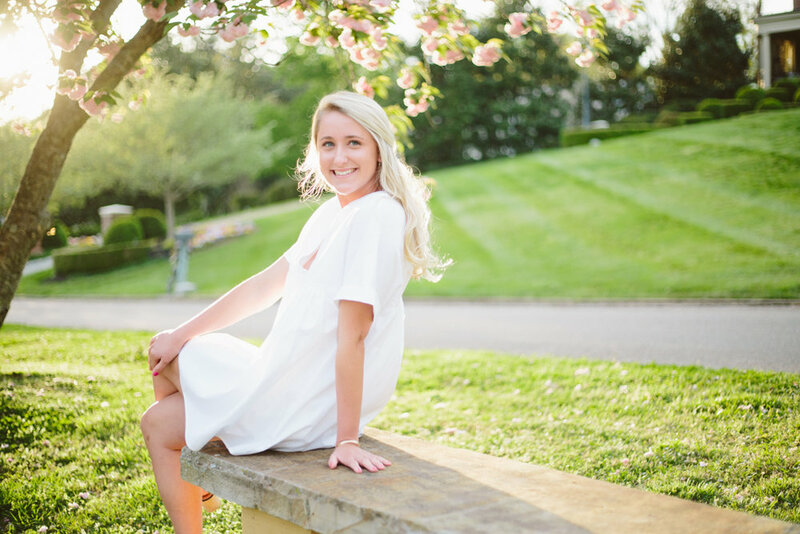 Jenna is graduating from the University of Tennessee this May, a fourth generation vol graduate in her family, and going on to get her Masters in education at UT! 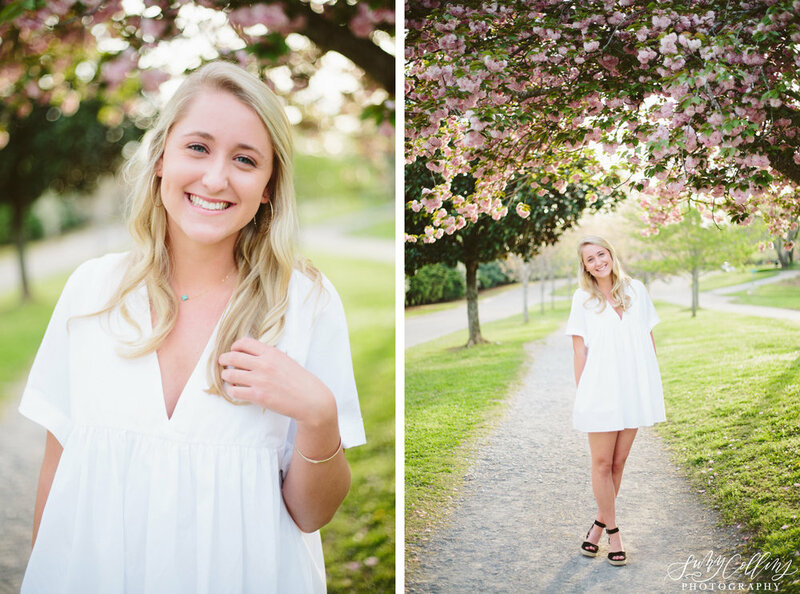 Sequoyah Hills was the perfect location for our shoot because it holds many special memories for Jenna since she was little and she'll be continuing to jog these pretty streets as she lives here while she gets her masters degree. CHEERS to you Jenna girl!! Cherry on top - Jenna's mama got to hop in for a few photos at the end! Jenna is a 4th generation Tennessee graduate, so needless to say, this is a special time worth celebrating for her whole family! Her mom teared up as we wrapped up the shoot just looking at Jenna with sweet pride. Loved these moments!